Open A ccess Week is used as an opportunity to spread awareness of open access issues throughout the world. It was Oct 24th to the 30th last year. Shravan and Mahroof from the Ahmedabad Chapter suggested we do the first every multi city hangout and bring together different groups working on openness issues throughout the country. 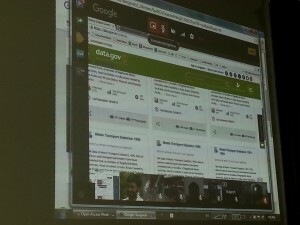 Data.Gov.In started us off with Alka Misra and Sitansu participating from Delhi. 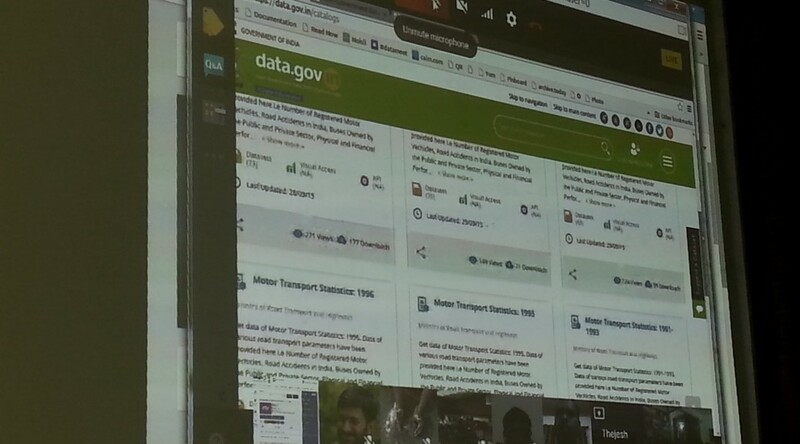 They spoke about new features on Data.Gov.in, new datasets and visualizations available. They were also there to extend invites for more participation from the community. Rahmanuddin from Access to Knowledge then spoke about Wikipedia and their community dedicated to local language knowledge sharing. They also had pertinent questions to Data.Gov.In regarding using open licenses. Since Wikipedia can’t use any data from Data.Gov.In since a license isn’t specified. 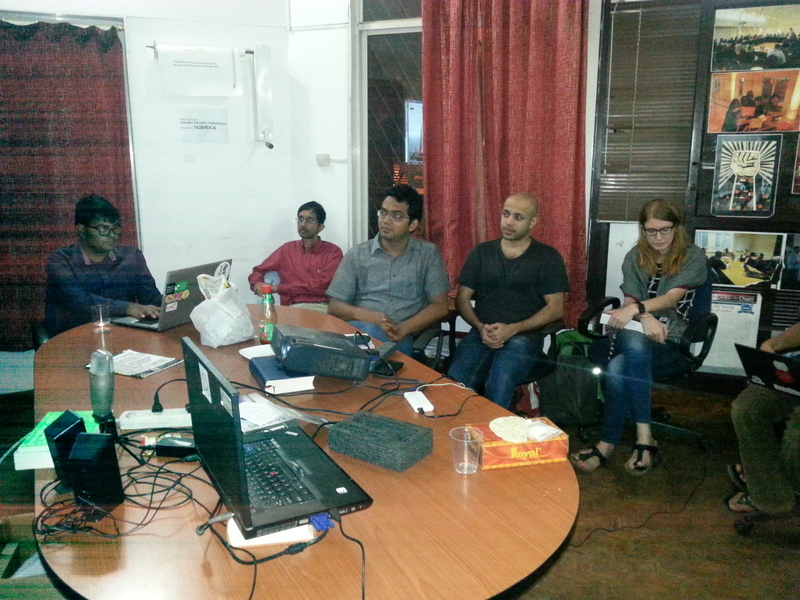 Ahmedabad Chapter went next. Ramya Bhatt, Assistant Municipal Commissioner from Ahmedabad, came and gave a brief talk about their plans for open data and smart cities. Alka from Data.Gov.In offered assistance. Then some students from Dhirubhai Ambani Institute of Information and Technology’s machine learning program used some data from Data.Gov.in to do analysis at the event. They looked at high budget allocation per state and drop out rates. Open Access India’s Sridhar Gutam briefly went through the plans OAI has for the upcoming year to promote open access science and journals. Hyderabad DataMeet is a new and yet to really take shape meet up but we were happy to see a first attempt. Sailendra took the lead as the organizer and brought together some people from IIM Hyderabad. Srinivas Kodali was there to talk about all the data he had made available that week. It was a great event, and as with all online events there were some technical difficulties but everyone was patient. It was awesome to see how the open culture space has grown, and to see so many new DataMeet chapters. I hope we do one again soon minus the technical difficulties.